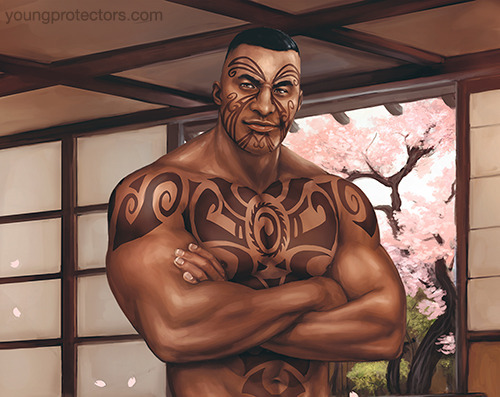 And we’ve just hit $8250/month at my Patreon Page, which means I can now unlock the background for the beautiful Full Monty Tsunami painting that Marccus (NSFW art blog) created! Woot! If you become a Patron now and pledge $5 or more, you’ll be able to download the whole image as a digital wallpaper right away. And just for today (May 31st PST), $10+ Patrons will be sent a high-res version with over double the resolution of this image, along with a high-res, clean version of Tsunami over white, and two high-res versions of another Full Monty painting by Rum-Locker (NSFW art blog), once payments are processed at the beginning of June!